There's some buzz happening in the boroughs of New York City. Last year, MS131 piloted "School of One," a creative way to tackle the difficult challenge of providing differentiated instruction for our students who all learn differently. Central to their plan is the concept of "The Learning Algorithm" that analyzes student data and academic progress, as well as teacher survey input, student survey input, and parent survey input to design a customized learning schedule for the student. The learning schedule exposes the student to various learning modalities and constantly adjusts this based on what is most successful for him or her. The algorithm pulls from a giant learning bank of activities to customize the learning day for each student. And get this...it does this every day for every student. 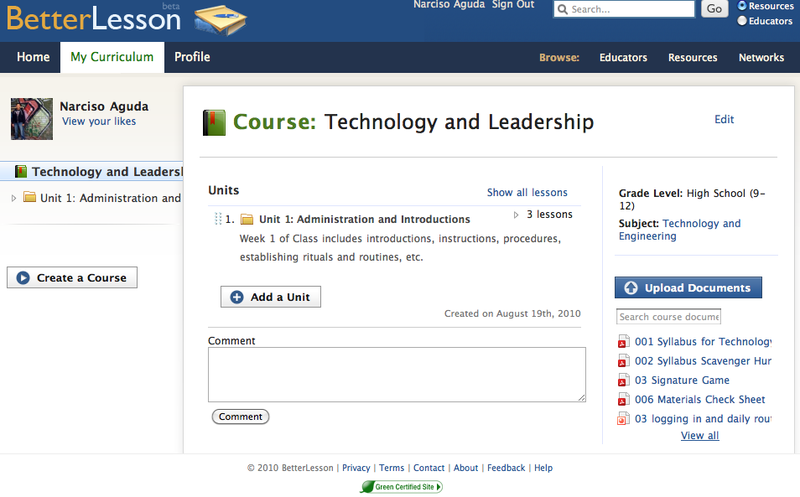 I've been spending the last few hours uploading my Tech curriculum to the Better Lesson Website. It's actually quite fun! 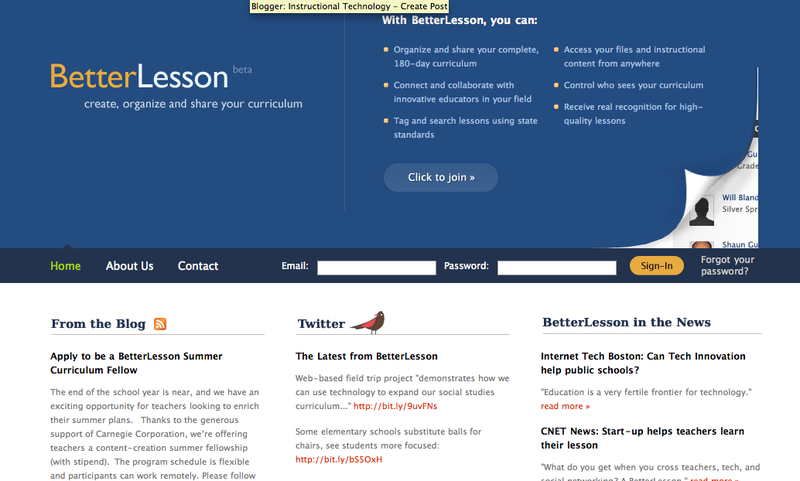 Better Lesson is an easy-to-use social-networking tool that provides an online repository for Lesson Plans. The site is set up similar to Facebook where you customize a teacher profile, add colleagues, and send personal messages. (A Facebook for teachers that's actually useful for teachers!? Yeah baby!) Currently, there are thousands of users in all subject areas for you to "friend" or in this case, "colleague" (I'm not sure that "colleague" can be a verb yet...but it will be soon thanks to BL!). 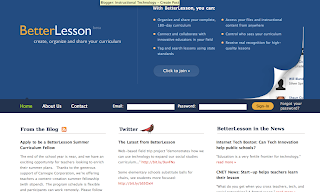 In addition, Better Lesson creates an online database for all your lesson plans that are arranged within units and courses. The database saves lesson plans as well as allows for uploads of your documents and worksheets (most formats are supported, including video). For those of us teachers who want to keep all our material organized somewhere in the "Cloud," this may be a great alternative to all those flash drives you tend to carry around on your key ring. In addition to storage, Better Lesson functions similarly to FaceBook in that it allows for some limited collaboration options such as allowing visitors to post comments. 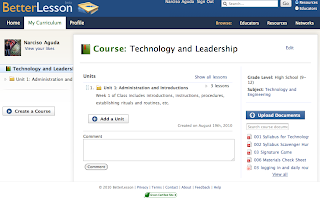 There's also an option for visitors to "LIKE" (yes, very facebooky) your lessons and documents and to Download your lesson plan and docs in a .zip format. Of course, there are privacy settings should you not want to share your lessons to the whole world. Green Dot is quickly adopting this platform as an online collaboration site and online repository of lesson plans...so make sure you check it out. 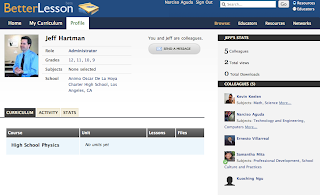 Best part: It's Free for GD teachers, don't you just LOVE open-source, web 2.0? Sign up today. It takes a day or two for the admin to approve you as a member associated with Green Dot Public Schools. Don't forget to ADD me as a colleague! Talk about your experience in the comment boxes below! NetSupport is a classroom friend, NOT a foe. 1. Become familiar to the Classroom Management Software, NetSupport. 2. Rehearse procedures for teacher facilitated instruction through netsupport. 4. 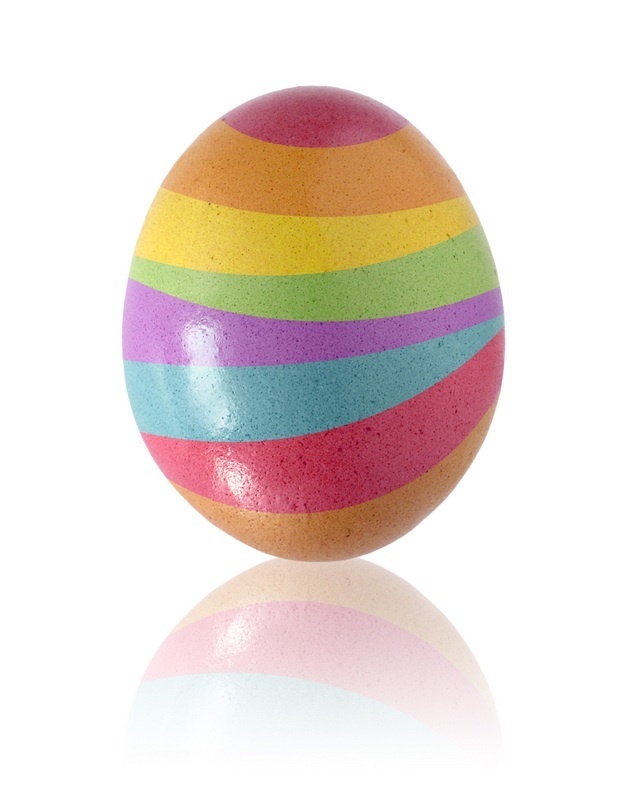 Log on and check email. Write 1 paragraph (5-6 sentences) about your favorite chicken dish. Describe it well enough that it will make you hungry. The activity is called: practicesaving, please save it the correct way. Teacher picks students by picking names from a Magic Hat. Teacher will ask various students to write the correct file name for each activity suggested. Students will write response on the board. Teacher will introduce students to NetSupport (http://netsupportschool.com) Software. For today only, the Teacher will project the NETSUPPORT tutor screen so that students can see the interface. Students will take notes from the PowerPoint. The following are all different demonstrations. A great way to implement these in an open forum are to ask students how they think a Teacher would use these tools. Activity and Demonstration (NETSUPPORT):1. Collect Work based on Filename. 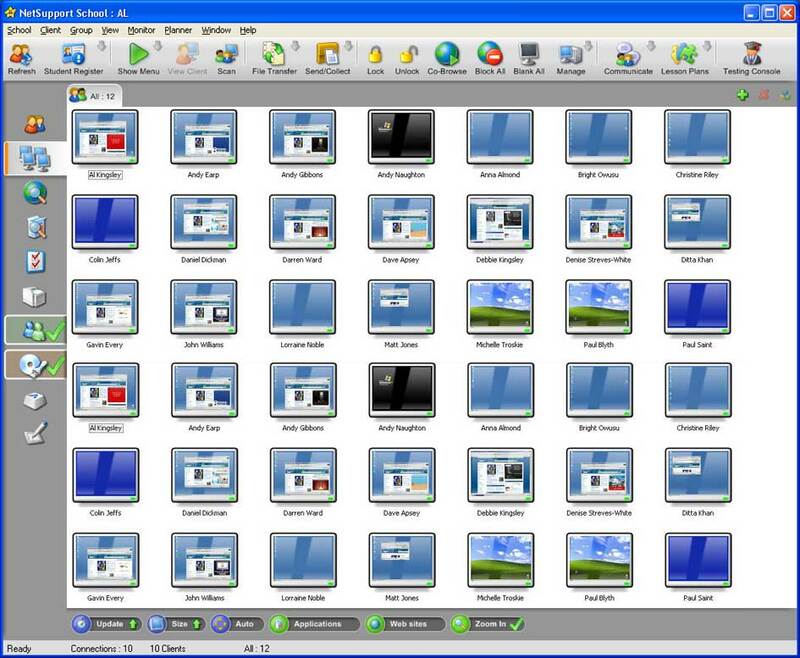 Students will open their My Documents folder to watch their work get collected by NetSupport. (Netsupport will collect the file from their computers, the file should disappear) Immediate feedback is given by the instructor should their file not disappear from the Documents folder. Teacher models and reminds students of the countdown procedure. When on the computer, the countdown signal will be followed by a lock screen. Students are to react in an appropriate manner when this occurs. Activity and Demonstration (NETSUPPORT): 3. Class Activity Timer. 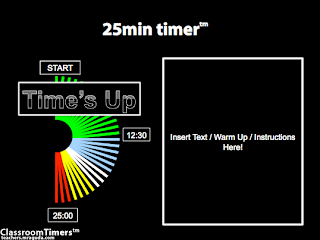 In addition to the Front Screen Timers, Mr. Aguda may place an unobtrusive timer on your screens. Students are asked to locate the ticking timer on their screens. Why would a teacher want to block just 1 Student's screen? Students can provide their own explanations. Teachers can choose to lock individual student screens to get a student's attention. This is demonstrated here. Activity and Demonstration (NETSUPPORT): 5. Demonstrate onto EVERYONE'S computer. Teacher opens up MS Word and then displays their screen onto everyone else's screens. Activity and Demonstration (NETSUPPORT): 6. Student demonstration to everyone's screen. Teacher chooses a student's screen to display to all screens in the classroom. Teacher asks the displaying student to SHOW and tell us, using his mouse and cursor, how to correctly save this file. (Or any other Activity that you may have for students to rehearse NETSUPPORT procedures. Students will receive their email assignments (Google Apps), login to the email system, and perform several tasks as explained on the worksheet. Throughout the activity, the instructor will use NETSUPPORT to interrupt, demonstrate, etc. 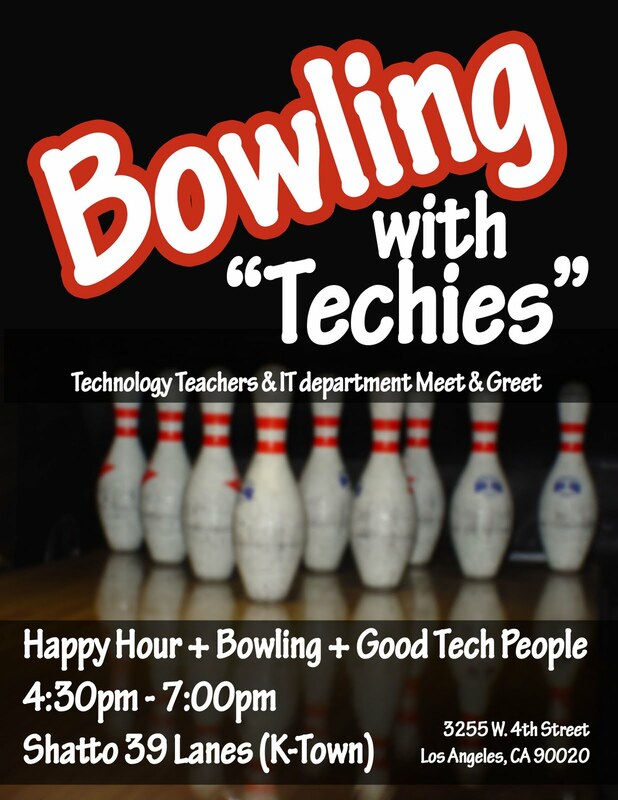 Don't forget to RSVP (click on Accept on your meeting maker) for this Friday's Meet and Greet! If you didn't get a Meeting Maker, email me at naguda@animo.org and I'll get one sent out to you! School starts in less than a week for many of us. Start your weekend right and meet some great people, share, network, connect for the coming school year. Enjoy a drink (see below for cheap happy hour specials) or maybe bowl (see below for bowling prices) while you're at it. Please RSVP by accepting the meeting maker so that I can get a head count. I really hope to meet you all there! PS: If you aren't a TECH / READ 180 / APEX TEACHER / COUNSELOR on your site, you're still invited! Although, please forward this meeting maker to the person who is! Periodically, I'll post some best practices for teachers by teachers. Here's one I received from Jesus Martinez at Animo Watts. Not sure if you would call this a resource, but the following helped me to keep most of my Apex Students on task this summer. 1. For the first week give them an attainable goal such as finishing the first half of the first unit. 2. When the second week begins, challenge their ability to finish 2 units and so on for the following weeks. 3. Monitor their progress and assess where students are having issues and create warm-ups for the beginning of class that can be completed as a class prior to beginning individual Apex work. 4. Solve these warm-up questions as a class and also allow them to solve them together in groups because some students learn better from their peers. 5. Monitor student progress on a weekly basis, call them to your desk and have them sit with you and go over their progress, let them know how they are doing and how much they have left to finish. This will ensure that you are keeping tabs on them and will help keep them focused. 6. Some students will make excuses and tell you that it is way too much work, and if so, break down their course work for them into achievable weekly goals that will help them to focus on one week at a time and not the entire course. 7. If you have a student who is moving at a very slow pace, make up an excuse and move him/her next to someone who is not a distraction and who is progressing at an adequate pace. Also you might ask this student in private to help you motivate this student while working next to each other. 8. Walk around the class and make yourself available for students who may need help with a particular question. If you don’t know the answer, be honest and say so and then proceed to sit with the student and attempt to solve the question together so that he or she knows that you can relate to the task at hand and also that you are willing to help. 9. Always encourage students to work from home if possible, and of course if students are not keeping up with their pace, assign a specific number of lessons to be completed at home. 10. Remind students of the benefits and importance of completing Apex courses and also of your ability to make phone calls home when students are falling behind. 11. Also tell students that you will make phone calls home if they are caught on myspace, facebook, youtube, or playing video games. Remind them that if they have time to be on those website then they have time to do work. 12. Also, I have found it to be extremely encouraging and motivating to make a positive phone calls home when students are on task and on pace. This really helps them to want to progress further and achieve more. A resource that really came in handy for students was math.com, it helped them with reviewing formulas and other math techniques. Everyone knows that good classroom management skills go hand in hand with good classroom time management. I created these timers a couple of years ago and have used them religiously since then. Yeah, I know that they're not as fancy-shmancy as some of the ones that you can buy from a third party vendor, but they'll certainly keep time. 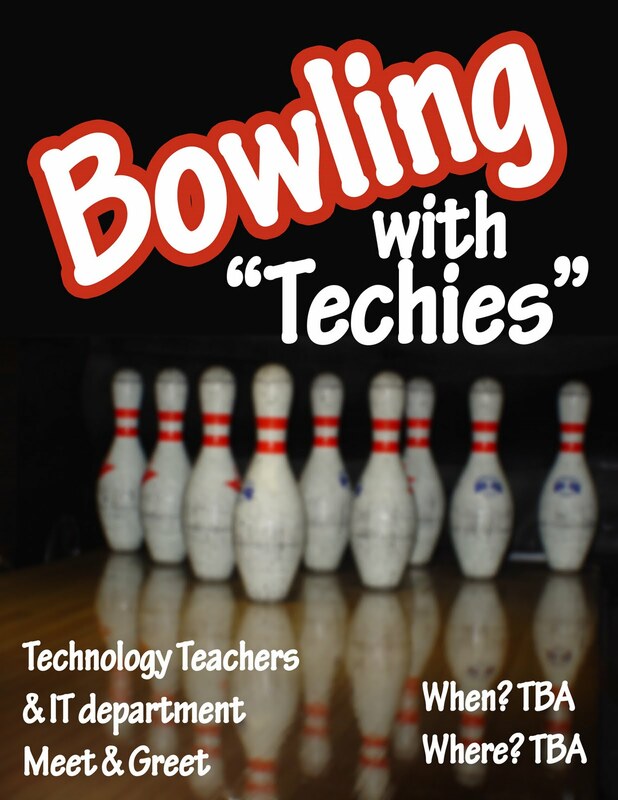 We're planning a Tech Teachers and IT Dept Meet and Greet for sometime within the next 3 weeks. 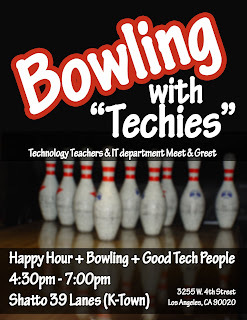 I'm sure many of you would jump at the opportunity to meet and connect with other teachers in the system as well as your IT department. And Bowling? Who doesn't like bowling? This'll be a place to hang out, meet people, and just chill with the great folks you'll be working with this year. This is all still in the works, but we need your input as to where and when to have the event. If you are a tech teacher (Read 180 / Apex too! ), we need your input! Please help us out with the survey. So, we recently made a move out of the old home (for which I was only a 1 week resident) at 350 Fig. 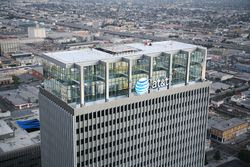 into the spectacular new space at the newly-refurbished AT&T building. The move will make for a more cost-effective solution as it contains more work space than the previous space AND the rent is significantly cheaper. Make sure you come by for a visit sometime! Jane McGonigal speaks about the major shift in gaming as entertainment to gaming as life tools. She believes the world of the game is better than reality itself. Find out why! 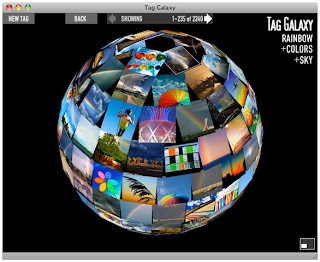 Tag Galaxy is a very nice application that uses Papervision3D to explore Flickr photos via virtual planetary systems. You enter a tag, and the related galaxy appears on screen. Each planet contains the pictures of a certain tag, and when you click on them, the images are placed on a 3D rotating globe. Created by Steven Wood as a diploma thesis project with PV3D 1.5. Steven is a freelance graphic designer and Flash developer from Germany. 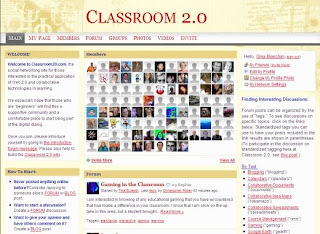 Great resource for teachers trying to incorporate web 2.0 applications into their classroom. Connect with hundreds of teachers, download resources, post in the forums, sit in on webinars...good stuff! I certainly hope your summer is going well. Undoubtedly summers can be short and sweet for all of us, and I certainly hope you've been able to slip in some R&R before the madness ensues. My name is Jay R Aguda. I've had the privilege of meeting some of you in person, but if I haven't, I'd like to introduce myself. I am your Instructional Technology Coordinator (ITC) here at Green Dot Public Schools! Yay! 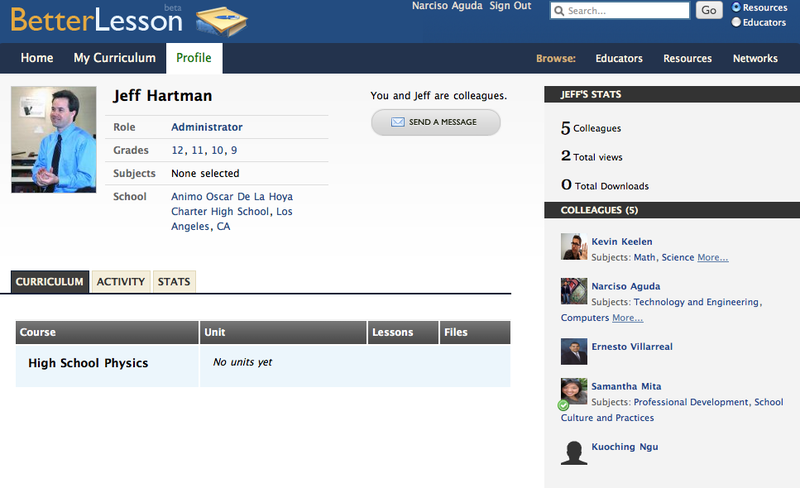 Prior to this position I served as the Technology and Leadership teacher at Animo Justice CHS for 4 years. Like many of you, during my tenure at Justice I successfully developed and implemented a NETs-aligned, 9th Grade Computer Literacy curriculum from almost no resources (some of you are nodding your heads already. I know, right?). I've also had the great fortune of meeting and collaborating with many fantastic teachers (Tech and non-tech teachers) in the system to help build and refine this curriculum. A fairly recent EdTechProfile (2006-2007) asked us teachers to respond with what we thought would be the most valuable type of tech PD. 34% of teachers asked for Basic Computer/Tech Skills, while a larger percentage, 66% needed help integrating technology into their own curriculum. It may also be important to note that only 39% of teachers actually reported. The survey was completed electronically and may only reflect teachers who felt comfortable using the computer to logon to the survey. So, we need better Tech PDs for basic literacy AND more importantly Tech integration. Can I hear an Amen? • Establish an environment which encourages creative and independent use of instructional technology throughout the school. • Assist educators in planning for the use and integration of technology in the instructional program. • Model effective uses of appropriate instructional technology in the classroom and the school media center for teachers and students. In the coming months, I intend to create a Instructional Technology Cadre of tech and core-content teachers to serve as both a collaborative body and as an advisory committee to help develop an Instructional Technology plan to integrate technology into core-curriculum. This is still on the drawing board and in the preliminary stages of development, however if you are interested, please let me know. A list of qualifications will be posted soon. In the meantime, if you are so inclined and are tech savvy, make sure to follow me on twitter: @mraguda and visit the instructional technology tech blog and portal site: http://teachers.mraguda.com for all the juicy details. Thanks so much for taking the time to read this email. I'm here for you should you need anything! If we haven't met yet, I hope to meet you personally in the near future. Do your students know your default password? Keep things secure. Follow this tutorial if you haven't changed your password yet. This procedure will change the password to both your email login and your computer login (sis). What day of the week will Jay-R Aguda's birthday fall on in 2012? First one to email naguda@greendot.org with the Answer will get a $20 Gift Card to Staples!